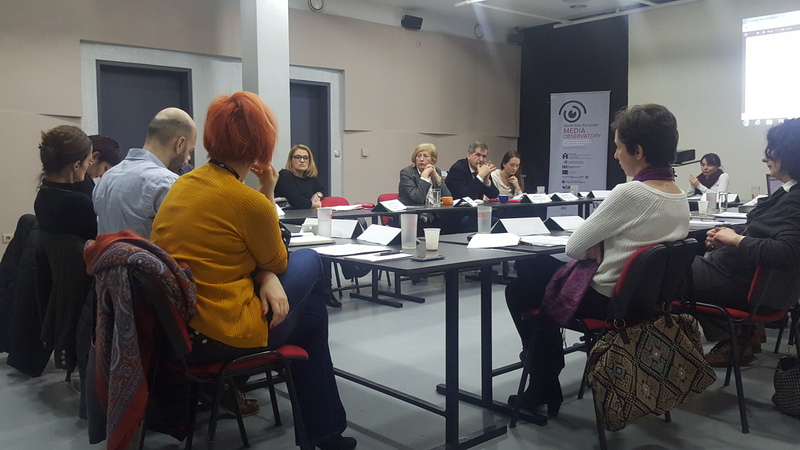 The meeting "Transparency of media funding from government budgets in Bosnia and Herzegovina: possible solutions" was held on January 22nd 2016 at Mediacenter Sarajevo. 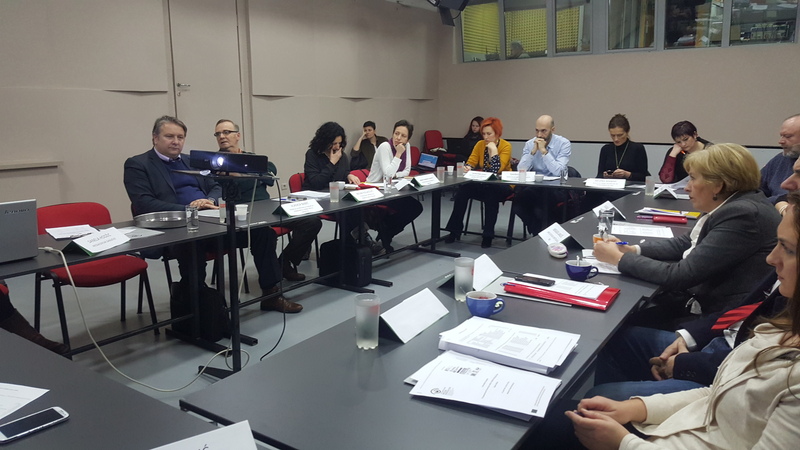 The consultations focused on some of the issues crucial in the context of financial relations between the state and the media in Bosnia and Herzegovina, as emphasized in the recent research report published by SEE Media Observatory. 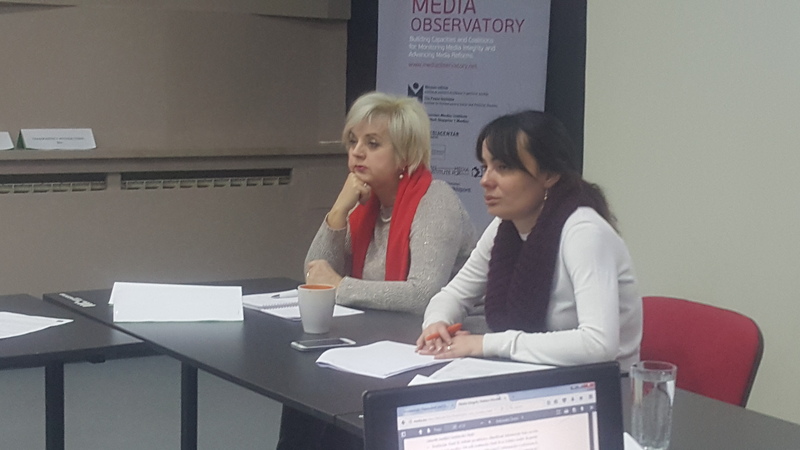 In the course of the research conducted within the SEE Media Observatory project, the question of media financing transparency has been recognized as one of the most relevant issues for the media sector, but at the same time one of the issues most neglected by state institutions and the civil society. The problematic practices in this area rage from the limited availability of information on financing of media, uneven practice of financial reporting and auditing, as well as the lack of standardized, advanced formatting of such reports. In order to start a dialogue that would eventually contribute to the rectification of these problems, Foundation “Mediacentar” gathered representatives of governmental and non-governmental organizations dealing with issues of transparency or extensive experience with the implementation of Freedom of Information Act (FOIA), as well as journalistic organisations, media regulators, financial inspectorate and state audit offices. Representatives of Mediacentar Sarajevo kick-started the meeting with a quick review of research results published within the SEE Media Observatory, emphasizing that while "the state has become one of the main sources of income for the media", through direct financing of media from state budgets, different subsidies, advertising and other contracts, the access to detailed information of this sort is impeded by a number of factors. Sanela Hodžić, the researcher and the author of abovementioned report, emphasised the lack of proactive publishing of information, lack of adequate responses to requests for information, as well as frequently unsearchable formats of financial reports, or the budget headings that do not always allow distinguishing of funding allocated to media. Participants were then invited to discuss their experiences and possible solutions to these problems. 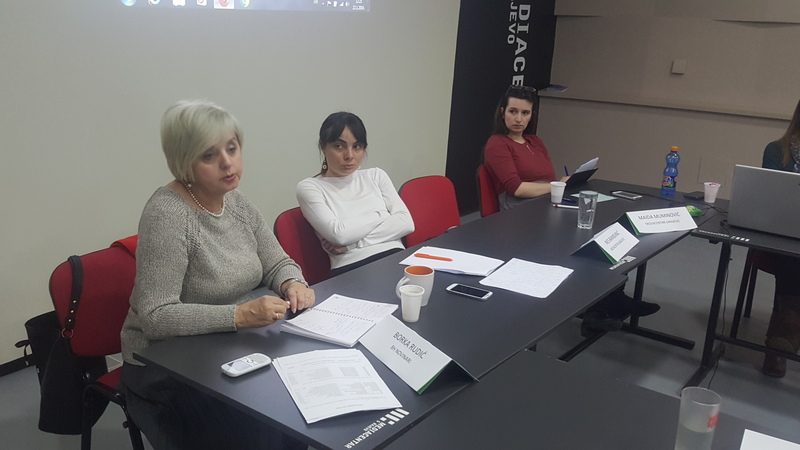 Mirna Stankovic Lukovic presented problems that Centre for Development of Media and Analysis (CRMA) faced when collecting the data on government funding for media at the end of 2015, and pointed out that this funding overall amounts to around 30 million BAM per year. Zoran Ivancic, chairman of the Foundation CPI shared the experiences of CPI database of government budgets, indicating that it takes a lot of time and resources for CPI to access information (the official gazettes are available per subscription fee, and some are not provided at all) and to process the collected information (given that format are often not searchable, they are sometimes provided only as hard-copies, etc), while ideally these information should be made easily available by the authorities themselves. 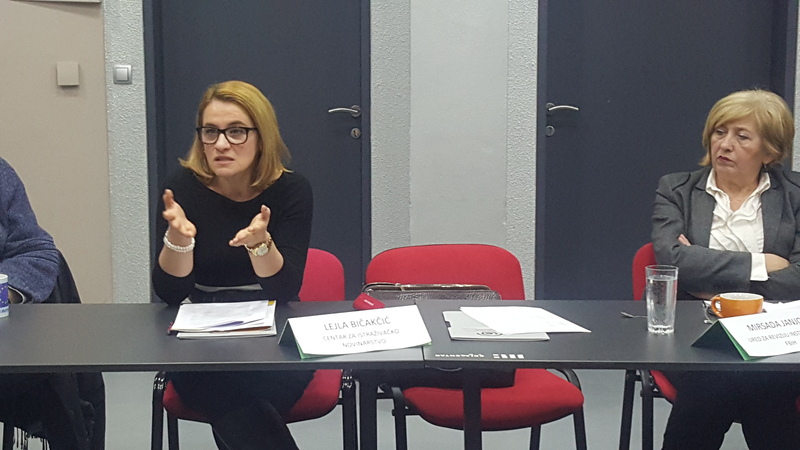 Lejla Bicakcic from the Centre for Investigative Journalism (CIN) shared their experiences with using Freedom of Information Act (FOIA) pointing to many difficulties. 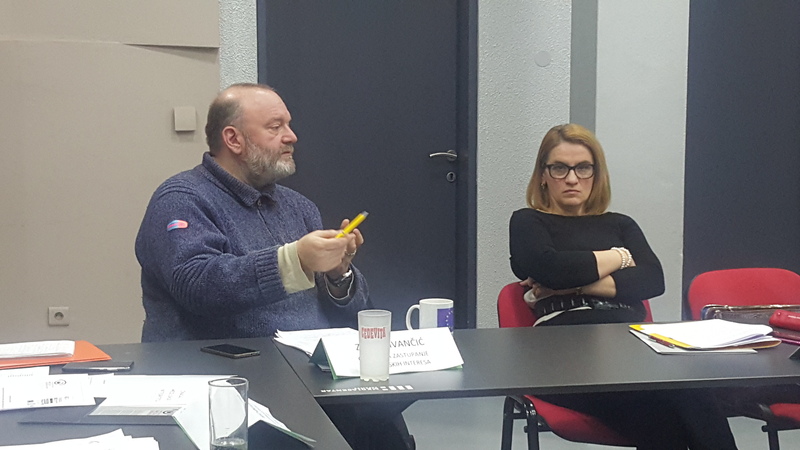 Borka Rudic, secretary general of BH Journalists, called for a need for publicly accessible register of media, while Asja Rokša Zubčević from CRA pointed out that part of the solutions would be a centralised registry of business entities in Republika Srpska, similar as the one available at www.pravosuđe.ba. The overall conclusion of the meeting was that several steps should be taken in order to improve practices in this area, the major ones being: standardization of financial reports (using formats that allow extracting and analysing of data), consistent use of the same budget heading that would allow all funding provided for media to be easily identifiable, demanding implementation of FOIA and enabling it through better inter-institutional registry and archiving of data, establishing of the mechanisms of monitoring of media funding from government budgets (including not only the budget realisation but also the actual public-interest effects), and finally the proactive publishing of information by the media themselves on the funding they are receiving. The Strategy and the Action Plan for the Fight Against corruption is one of the rare policy documents that recognises the importance of financial transparency of media, but the overall conclusion of the meeting was that more should be done to specify what are the steps to assure the transparency and which are the institutional mechanisms that would enable it. 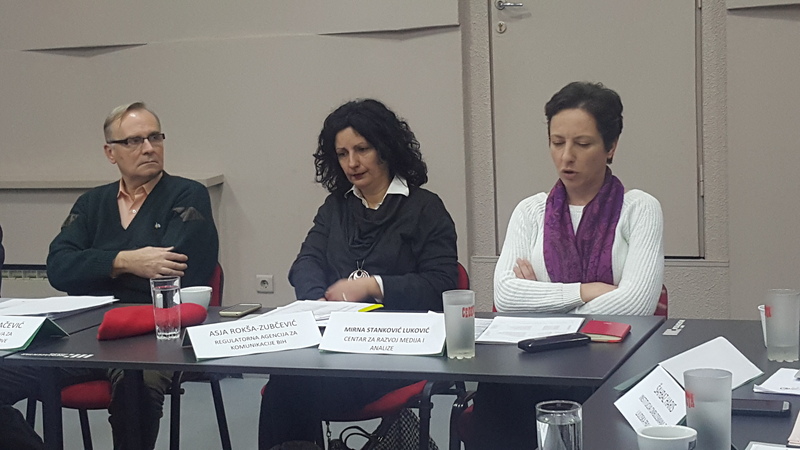 Some of the participants announced that after these consultations they are planning to have meetings with representatives of Agency for the prevention of Corruption and Coordination of the Fight against Corruption (APIK) that monitors the implementation of the Action plan, in order to discuss what can be done. Overall, the participants agreed that the policy dialogue on these issues is necessary, including the representative of institutions, civil society and the communication with the media. The meeting was an initial step to open the policy dialogue on the relations between the state and the media. 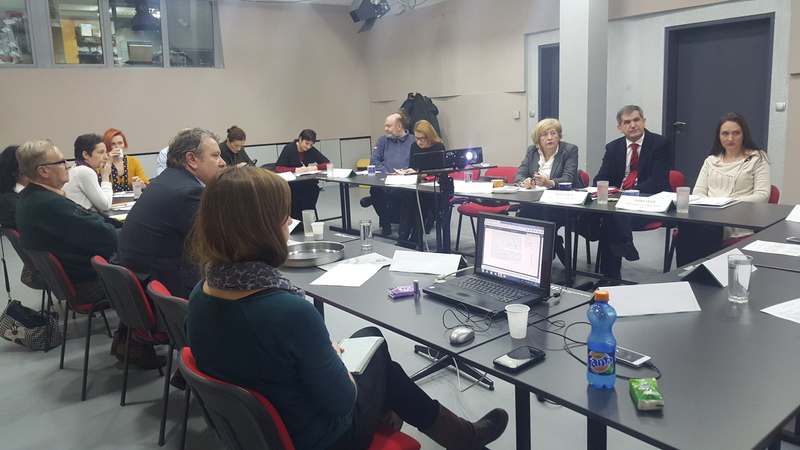 The next event within the SEE Media Observatory project, planned for March or April 2016, will be focused on the criteria for the allocation of government funding for media. The final results of the series of consultations and events will be the compiled recommendations on how to improve and assure the transparency and public interest in the overall financial relations between media and the government.